Massachusetts Senator Elizabeth Warren is calling on Democrats to be an actual opposition party in the coming era of Trumpism. And she is deploying a powerful tool to make the case for aggressive and unapologetic resistance to Republican hegemony: math. Warren is right when she points out that Americans did not give Trump a mandate. In the ongoing count of the national popular vote, Democrat Hillary Clinton was leading Republican Donald Trump by 2,332,745 votes as of Tuesday afternoon. Clinton has won 48.2 percent of the vote to 46.4 percent for Trump. And Clinton’s advantage will continue to grow as states finish counting and recounting ballots in anticipation of the December 13 deadline for certifying results. Trump’s claim on the presidency does not extend from the popular will—53.6 percent of Americans who cast ballots in the November 8 election opposed him—but from the Electoral College, where narrow victories in a handful of battleground states give the Republican a 306-232 lead. Warren is also right when she points out that Americans did not give Senate Republicans a mandate. Only one-third of Senate seats were up for election in 2016, and the count is complicated by state-based quirks. (The Republicans were eliminated in the California primary, setting up a November contest between two Democrats; and Louisiana’s Senate run-off won’t be held until December 10.) With that said, Democrats actually picked up two US Senate seats this year and reduced the Republican majority in the chamber. And voters did indeed cast more ballots for Democratic Senate candidates than Republicans. USA Today reported shortly after the election that “The White House may not be the only institution in Washington that Democrats lost on Tuesday despite getting more votes than Republicans. It turns out that Democrats also got more votes for the US Senate than Republicans, and yet Republicans maintained their majority on Capitol Hill.” The preliminary count had Democratic Senate candidates gathering 46.2 million votes to 39.3 million for Republican candidates. Those numbers will change a good deal when the final counts are recorded—and when Louisiana settles its contest. But even if the Republican wins in Louisiana (and even if only the votes for the Senator-elect Kamala Harris, the winner of California contest, are counted), Democrats are still positioned to finish ahead in the national count. So it’s absurd to suggest that voters handed Senate Republicans a blank check to remake America. They didn’t. 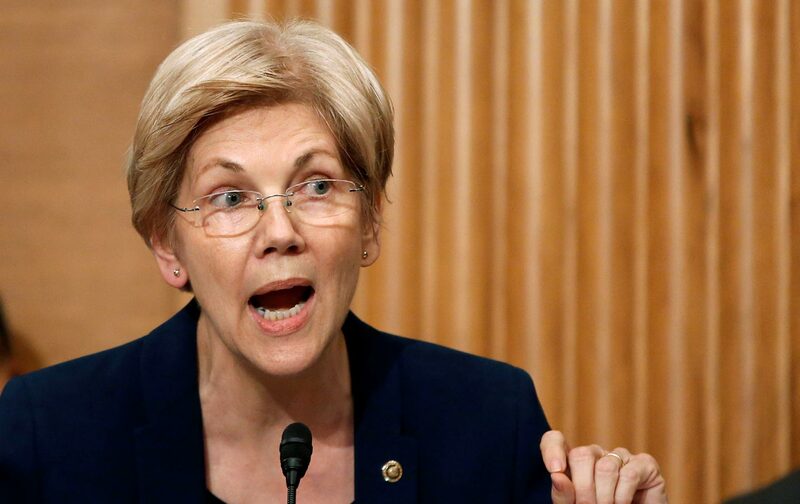 Warren took her own stand Monday, when she objected loudly to the so-called “21st Century Cures Act,” a piece of medical innovation legislation that Warren said had been “hijacked” by the pharmaceutical industry and its legions of lobbyists. In mounting her objection, the senator from Massachusetts made a point about how Democrats can and must perform their duties in a closely divided Senate where the opposition retains tools for forcing debate and compromise. The American people didn’t give Democrats majority support so we could come back to Washington and play dead. They didn’t send us here to whimper, whine, or grovel. They sent us here to say ‘no’ to efforts to sell Congress to the highest bidder. They sent us here to stand up for what’s right. Now, they are watching, waiting, and hoping—hoping we show some spine and start fighting back when Congress completely ignores the message of the American people and returns to all its same old ways.